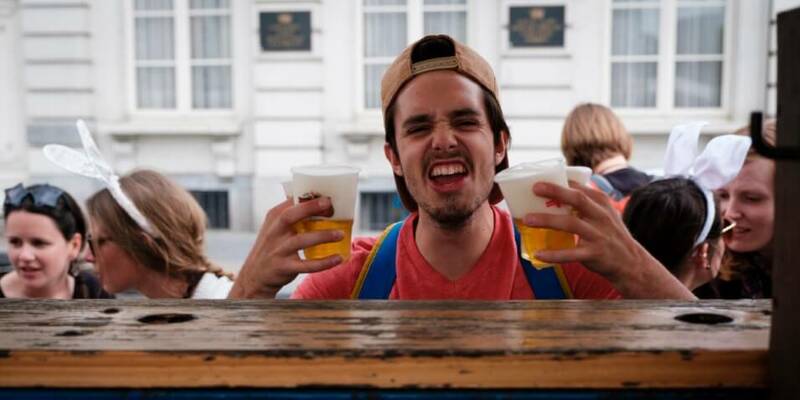 Tour Brussels or Antwerp on a bike while drinking a cold brew! 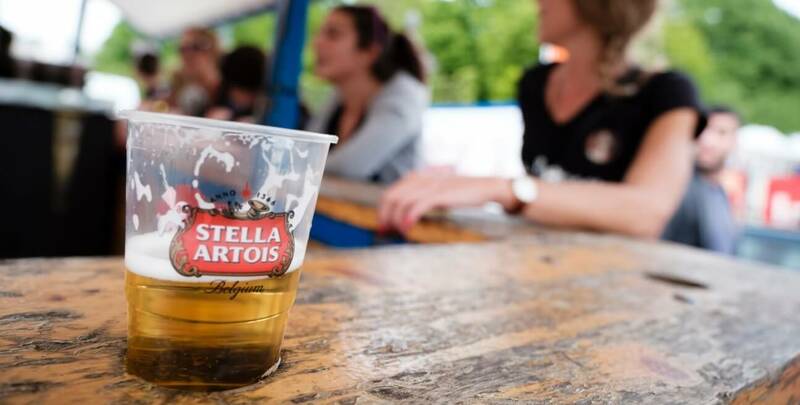 Belgium is famous for its beer and amazing cyclists, that's therefore the best place to bring both passions together and join our Beer Bike activity! 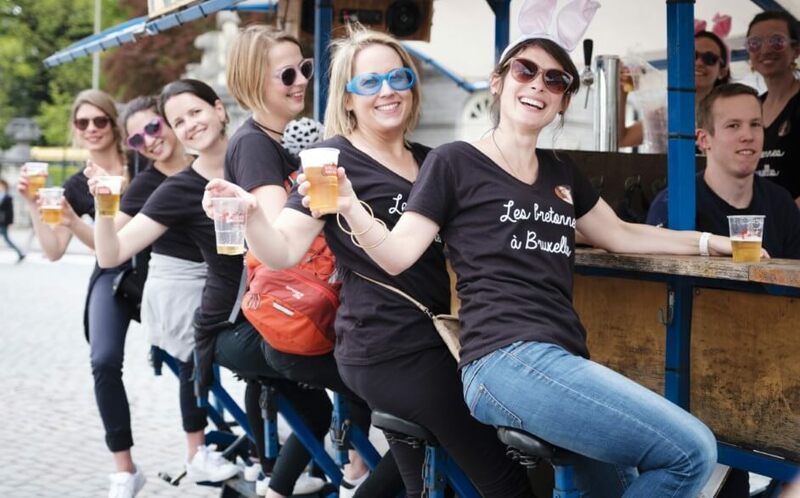 Sit together with all your friends and pilot the beer bike around the streets of Brussels! We've installed a powerfull sound system on the bike as well as a beer keg & cooling system so you can enjoy a cold brew during the ride - Sweeeeeet!! Ex: 26€ /person if you are 15 participants, beer included! 1. Click on the booking button and enter your personal information along with desired booking days & time. We will not charge your credit card, until your booking is confirmed. 2. Your request goes to our team that will review all bookings manually and offer you the closest possible rental time to your request in case this one is no longer available. 3. Once we have agreed on a time, we will charge the beer bike fee on the card: 390eur if you take our regular pack. You receive a confirmation email with all practical details. 4. On the day of the rental, we will ask you to pay 150eur security deposit in cash, directly to the guide. You will get the deposit back immediately from the guide at the end of the tour, if nothing has been broken/damaged on the bike. Our guide will be there to help you have a smooth & enjoyable ride. 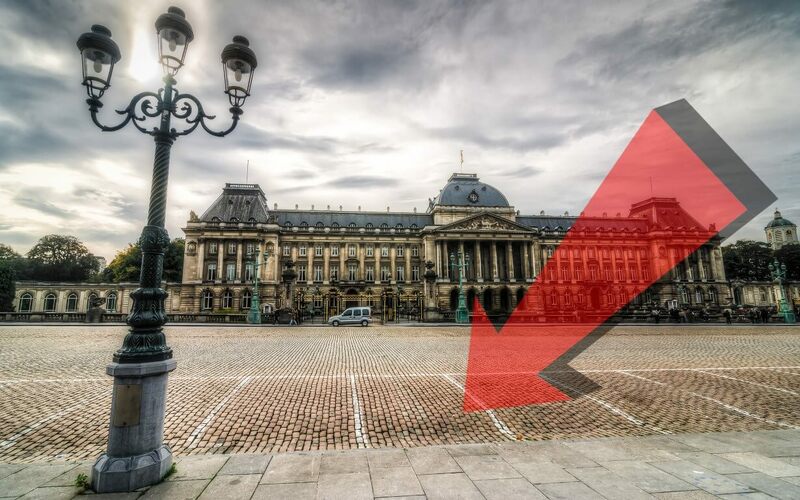 The meeting point is located in front of the Royal Palace of Brussels. The ride will start and end there. Closest metro station is "Gare Centrale / Central Station". You can find the exact location here on google map. Once your booking is confirmed you will receive an email with detailed instructions. For logistic reasons, the meeting point cannot be changed. Click on the map to open google map. The meeting point is located on Steenplein close to the Scheldt river. The ride will start and end there. Closest tram stop is "Antwerpen Groenplaats". You can find the exact location here on google map. 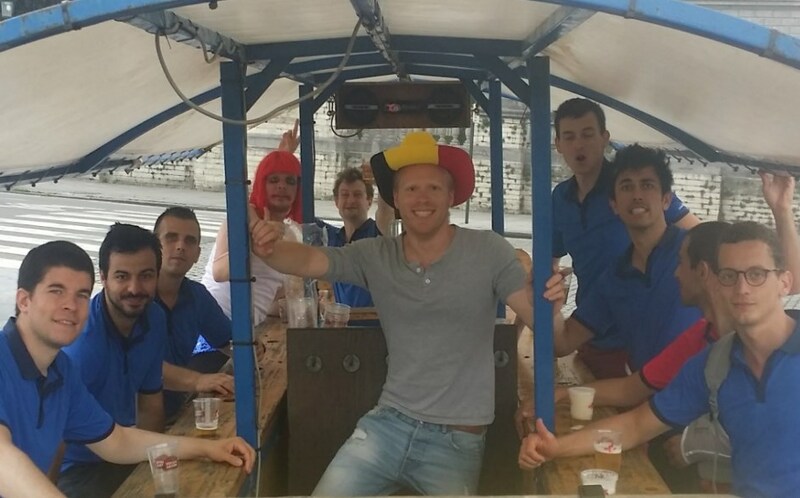 The Beer bike is the Best Stag party activity in Brussels! What do we see ? 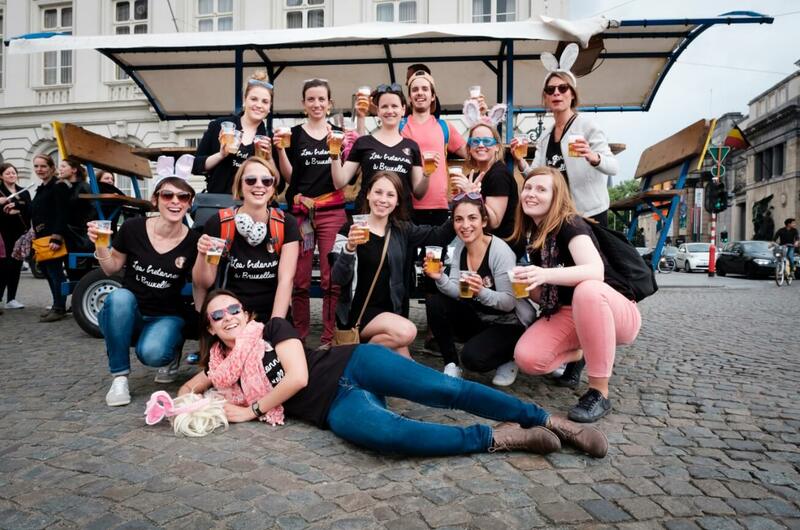 Our Beer Bike tour in Brussels includes a driver. The designated driver will take you on a trip around Brussels, starting off the Royal Palace of Brussels! 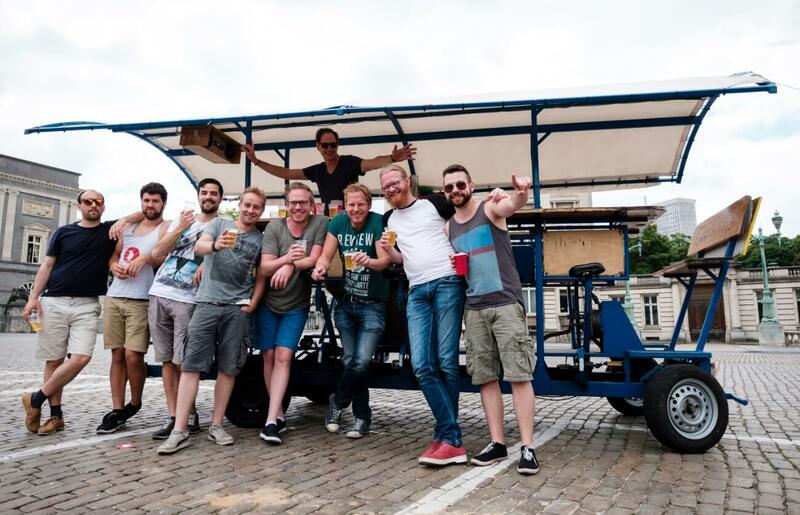 Because our driver will be responsible for the bike, your whole group will be able to enjoy drinking a whole keg of beer during the ride as the bike wanders around the streets of the upper part of town. How can I book the Beer Bike ? 1. Click on the booking button (here!) and enter your personal information along with desired booking days & time. We will not charge your credit card, until your booking is confirmed. How many people can join? 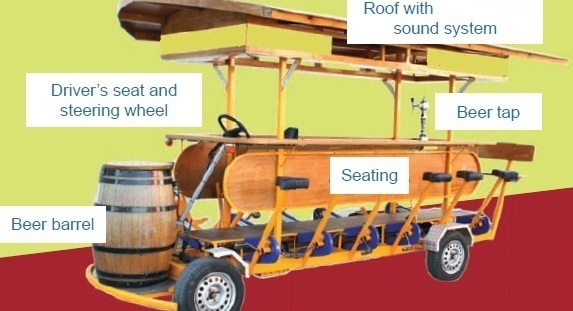 Each Beer Bike has a minimum of 8 riders and a maximum of 19. 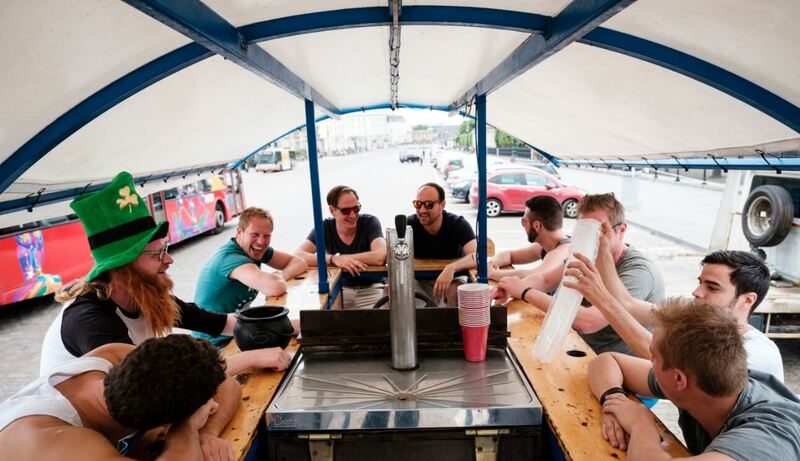 We currently have 4 Beer Bikes available in both Antwerp and Brussels. 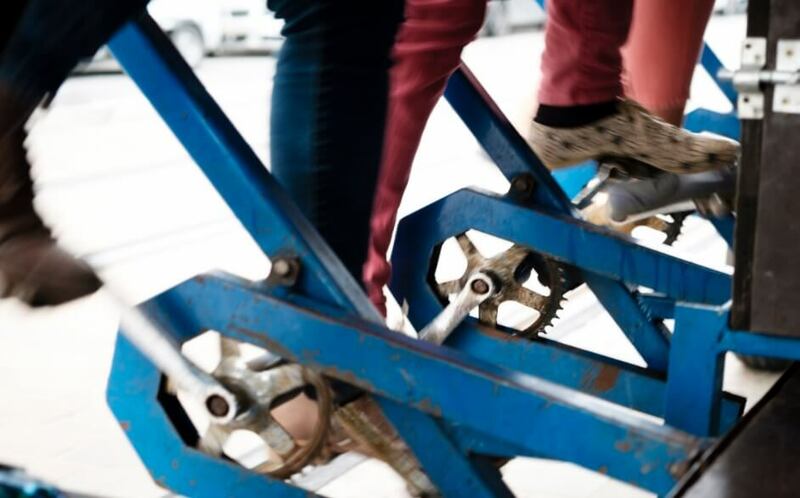 Please note that 10 people can pedals at the same time, the others sit on the beer bike and enjoy the ride before we switch. Yes, we include a keg of 30L of pils beer with every rental as well as the draft beer pump, cooling system and plastic cups. If you would like to rent the Beer Bike without beer its also possible, just select the "no beer" option at check out and the price will adapt automatically to 290eur/bike. We prefer credit cards, but just in case you don't have one, we accept Paypal and SEPA bank transfer too if you book a couple of weeks ahead at least. Just email us for details contact@brusselsbeerbike.com. In case you change your mind, we refund the full fee up to one month prior the start of the rental. We refund 70% for cancellations made at least 3 weeks before the start and refund only 100eur for cancellations made between 3 weeks and 48h prior the start of the tour with no refund after that. We are very busy during the summer season, especially on weekends, we therefore advise you to book as soon as possible.